Everyone's been in the situation where they're on the train, bus, or in a waiting room, and you need to charge your phone, but the nearest electric socket is a meter or two away, and just out of reach. You have to be contently looking at your phone, worrying that someone may attempt to take it. 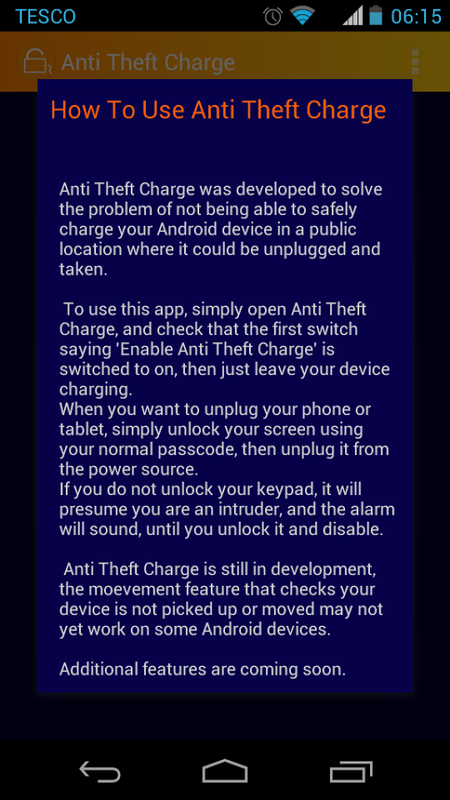 Well anti theft charge is the solution. Once enabled it runs in the background, if the phone is disconnected from the power source while the keypad is locked, then an alarm sounds at full volume, this will be enough to make any thief drop it pretty promptly. All the owner of the phone has to do is unlock the keypad the normal way with their passcode in order to confirm who they are, and the alarm will not sound when disconnected. It also has the option to detect the phones movement as well as charging status, so if an intruder tries to pick up your phone without unlocking the keypad the owner will be notified. 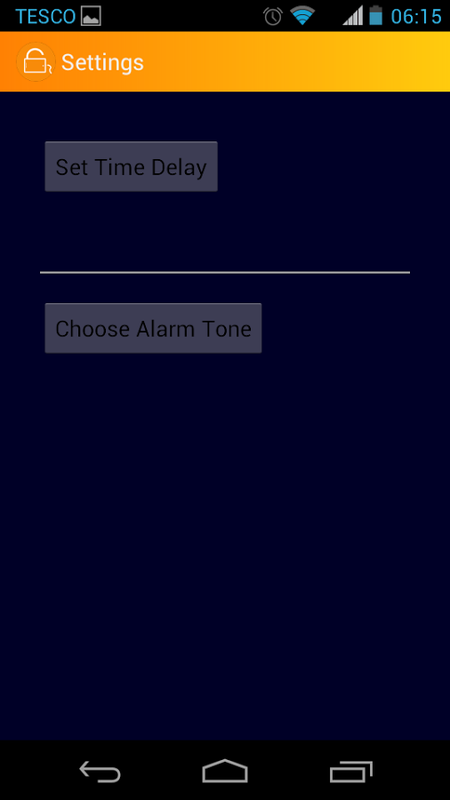 There are additional settings to change the alarm tone, and the option of a delay between unplugging/moving and the alarm sounding. The app is available for free on Google Play. It is compatible with the majority of Android devices. Alternatively you can download the APK file directly, here. 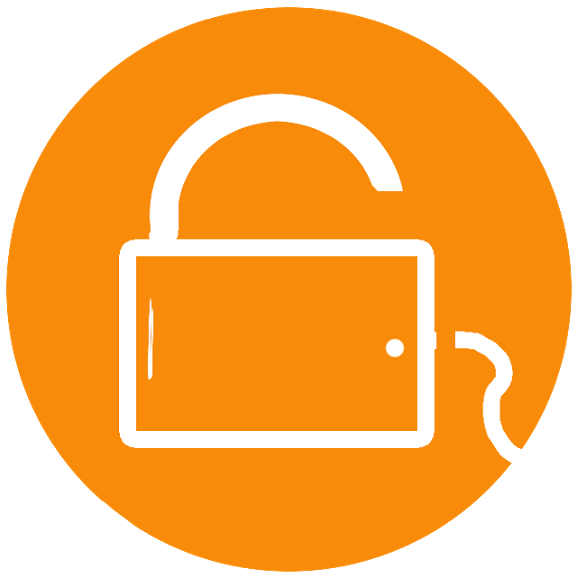 It continues the orange color scheme is includes a simple graphic the combines a padlock with a charging mobile device. 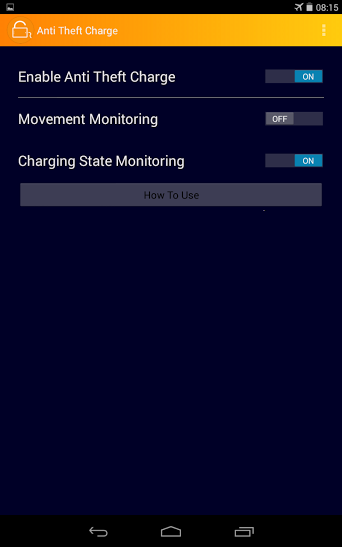 1st image: start screen - quickly enable or disable anti theft charge, and choose whether it should detect movement monitoring, charge state or both.